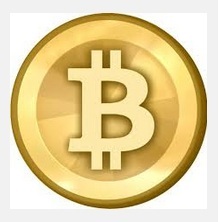 BitCoin, like all currency's, can be exchanged for goods or services. That means you can also use it for betting. Unfortunately the sites that will accept BitCoin for deposits are few and far between, and in the most part not the most reputable. So yes you can bet with BitCoin, but what you should be asking yourself is why am I betting with BitCoin? As a currency it suffers from pretty wild swings, and has has issues with the security of the trading companies, let alone the people accepting it for betting. An investment in BitCoin is like a foreign currency investment, or even a share investment. You're not going to buy Apple shares and then use them as a wager on a game of football, so why would you consider doing it with BitCoin?! There are very few 'normal' long standing sites that accept BitCoin, and they have the hallmarks of doing it only for the publicity rather than in support of the currency. Vera&John (sounds like a rubbish casino, but it's actually very good!) did accept BitCoin for a short period, but have now removed it as a payment option due to issues with the regulation and administration of the currency. In terms of bookmakers, there has been a bit of movement in these markets recently, but no UK regulated outfit is accepting Bitcoin at this time. The major factor in this being that if you can't verify where funds have come from, you're wide open to money laundering. You can read far more on the subject of Betting With BitCoin on The Gambling Times. Given their review section they've put the time and effort into looking into different sites that accept it, and the results aren't good. This situation might change of course, but maybe it's not worth the risk at the moment. You're already speculating by investing in BitCoin, so perhaps just use your regular funds for betting? If you’re interested in making money from your betting, a good idea would be to sign up for The Gambling Times premium membership as well as going for these BitCoin bookmakers. They'll show you how to get the most out of bookmaker sign up offers and bonuses.